Calm the complexion with the All That Aloe Mask from Korean brand, Skin79. Designed to deeply moisturise, the sheet mask leaves the skin comfortably hydrated and feeling soothed. 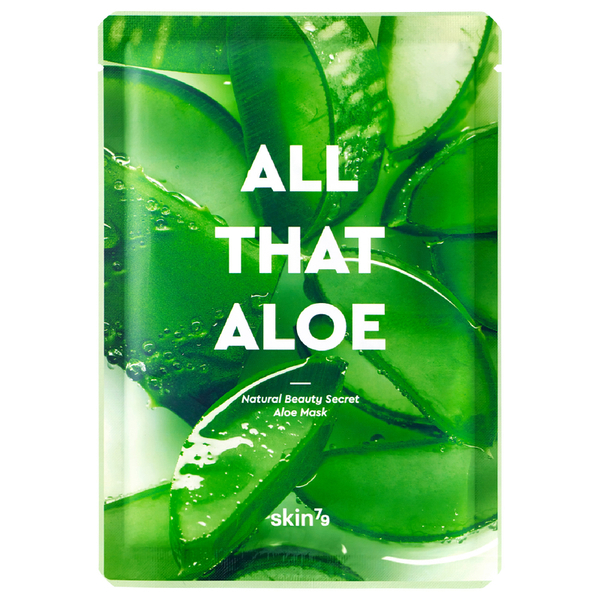 Fortified with a blend of Leaf Cellulose (Aloe Yarn), Aloe extract and Polysaccharides, the face mask delivers an abundant amount of Aloe concentrates. The mask moisturises skin from the inside out, transforming red and irritated complexions and leaving them calm. Expect a visibly plumped complexion that is smooth and hydrated.